Do you require door installation Gaithersburg, Maryland professional services? In that case, contact King Door and Lock Maryland and DC! You will definitely be amazed at our thorough set of door installation and repair services for homeowners and business owners. Do you want to replace your battered entry door? Does your current garage door only open up halfway? For those who own a small business, are the entrance doors for your building showing the specified image and do they continue to maintain the usefulness that you want? Whether you have to have a door for a business or home, or a brand new garage door, we are your fast and pleasant, 24/7/365, superior Montgomery County, MD door installation service provider. The crew at King Door and Lock excels at repairing and replacing all sorts of household doors. Is your storm door falling off its hinges or seen a lot better times so far as the condition the door is in? Our skilled and trusted experts will try to find the problem and afterwards, inform you exactly what a storm door repair or storm door installation will cost. Front doors point out the style of your house and also disclose an idea of the individuals that live there. An entry door installment from King Door and Lock radiates skillfulness, high caliber, and professionalism to any person who walks through it. We are transparent regarding our entrance door repair and installation prices. You can have assurance in the work that we perform when installing any of your doors. We can also handle your back door leading out to the backyard or terrace, regardless if it’s a standard hinged door or a sliding glass door. Depending on the state of the sliding glass door or patio door, we can easily either fix it or replace it entirely. King Door and Lock is known for offering the best door installation Gaithersburg, Maryland service. We realize, as a business ourselves, that you’re constantly keeping track of your financial well being. At King Door and Lock, we believe that our prices for door replacement, installation, and/or repair solutions are definitely the most fair for the excellent service our company offers in DC and MD. If you discover a cheaper company for the job, chances are they will be lower in craftsmanship too. You are going to value our transparent rates combined with our speedy, helpful service, so you’ll understand your door needs will be dealt with efficiently and there will be no hidden fees on the bill. Entry door repair, replacement, and installation requirements for commercial properties are usually vastly dissimilar to the requirements of a residential property, so you should definitely seek the services of specialists in commercial door replacement and repair. 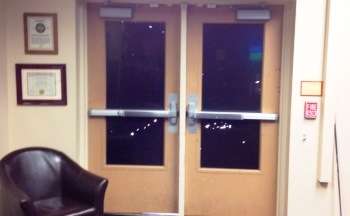 Commercial doors need to be made of heavy duty craftsmanship to handle their repeated use on a daily basis. As opposed to residential doors, commercial doors are usually constructed with more complicated hardware. You will definitely appreciate our experienced experts fixing your storefront door. Are you contemplating installing a new garage door for your Gaithersburg home or office? King Door and Lock Maryland and DC is known for an expert crew to install and repair garage doors. Considering the various parts of a garage door, it’s necessary to seek the services of experts to complete the job. The garage is the ‘home’ for your vehicle and assorted additional things that the majority of us keep in there: lawn mowers, leaf blowers, motorcycles, and so forth. Considering the amount of belongings that we keep in our garages, it is important that they’re secure and working properly. You need the work done properly by our experienced techs using their advanced tools and equipment which allow them to deal with any job of this nature. If you already have a garage door but it isn’t functioning properly, contact King Door and Lock for top quality garage door repair in MD and Washington DC. For the exact same factors given above, you want to be certain that garage door repair is completed correctly at the beginning to guard the possessions you store in there. Our experienced professionals will take a look at your garage door and inform you if it requires replacing or perhaps if it can just be repaired. We will explain to you what it will cost you up front so there won’t be any hidden fees when you receive the statement. King Door and Lock excels not only at household garage doors but our team also repairs and installs commercial garage doors. 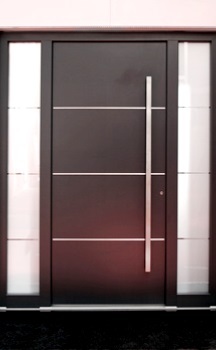 Use our full door expertise so that our company can help your company to prosper. Our speedy and pleasant technicians can get to your place of business promptly to let you know how much replacement or repair will cost. We will then deal with the task efficiently and courteously so you can give attention to your own company. The technicians at King Door and Lock Maryland and DC are your door industry professionals. For door installation Gaithersburg, Montgomery County services, give us a call. We provide total door services: door installation, door repair, door replacement. Our 24/7/365 door assistance covers residential doors, commercial doors, and garage doors. In addition to exterior door replacement, repair, or installation we can also fix or remove and replace interior doors in a dwelling or business. Internal doors we specialize in installing and repairing consist of closet doors, pocket doors, and bedroom doors. First, our technicians will ascertain what kind of work is required to be carried out. Perhaps you won’t need a totally new door. It might be a question of a door jamb repair or even a door hinge repair. In the event the door frame is faulty, then maybe a door frame repair is all that will be required. Our technicians will find the situation, determine what actually is required to be done, and after that, provide you with straightforward rates so you’ve got the details you will need to make a good decision. If you are in Gaithersburg and also the surrounding region, call us today. We’re here for you round the clock! Our Door Installation Gaithersburg Services in Maryland https://kingdoorandlock.com/maryland-door-installation/montgomery-county/gaithersburg/ 3.9/5 based upon 16 reviews.